A man who was detained in Tulare County in connection with the death of a woman whose body was found in a Santa Ana motel room Tuesday morning has been booked on suspicion of murder, police say. A 55-year-old Anaheim man was charged Thursday with murder for allegedly killing a friend in a Santa Ana motel. 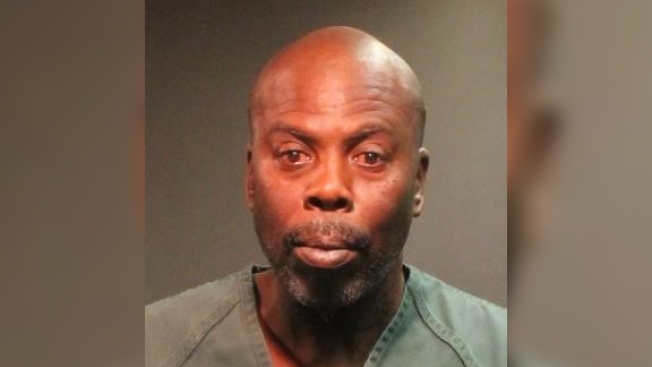 Milton Louis Mayfield is accused in the death of 55-year-old Deborah Ann Simon, whose body was found shortly after 5 a.m. Tuesday at the Sunshine Village Motel, 1427 E. First St., said Santa Ana police Cpl. Anthony Bertagna. Mayfield was spotted by California Highway Patrol officers at 4:50 a.m. Tuesday with a disabled vehicle -- that was later determined to belong to Simon -- alongside a freeway in Tulare County, Bertagna said. When officers spoke to him, Mayfield "made spontaneous statements indicating he may have killed a woman in a motel room in the area of First Street and Grand Avenue in the city of Santa Ana,'' according to a police statement. CHP officers detained Mayfield and contacted Santa Ana police, who began searching various motels in the area, eventually discovering Simon dead at the motel. The cause of her death has not been released. Santa Ana detectives traveled to Visalia and interviewed Mayfield, and he was brought back to Santa Ana and booked into the city jail on suspicion of murder.